My mom knew that Wet Seal prices didn’t always match our families budget. And looking back, I realize what a wonderful job she did of allowing me my fashion dreams while also encouraging frugality. We would look through all of the racks and pick out a few things I liked and then head out of the store empty handed. You see, she wanted me to do some price comparisons. To see if, by chance, I could find something similar at a lesser price. More often than not, I would find something I liked even more elsewhere at a price we were all comfortable with. And while I didn’t always appreciate it at the time and I’m sure there was quite a bit of eye rolling involved on my part, now I see what a gift she gave me. Because now when I see something I like at Pottery Barn that costs $149, I know that I can do better than that! 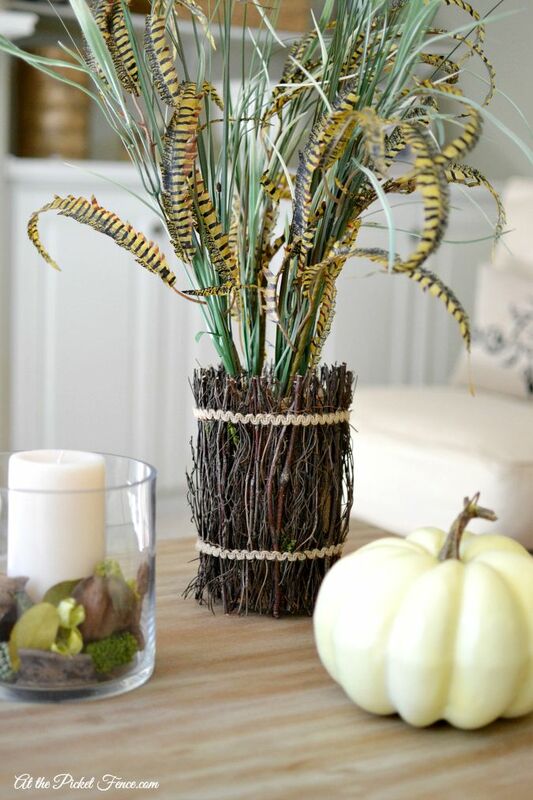 Instructions: Wrap container with burlap securing in place with hot glue. 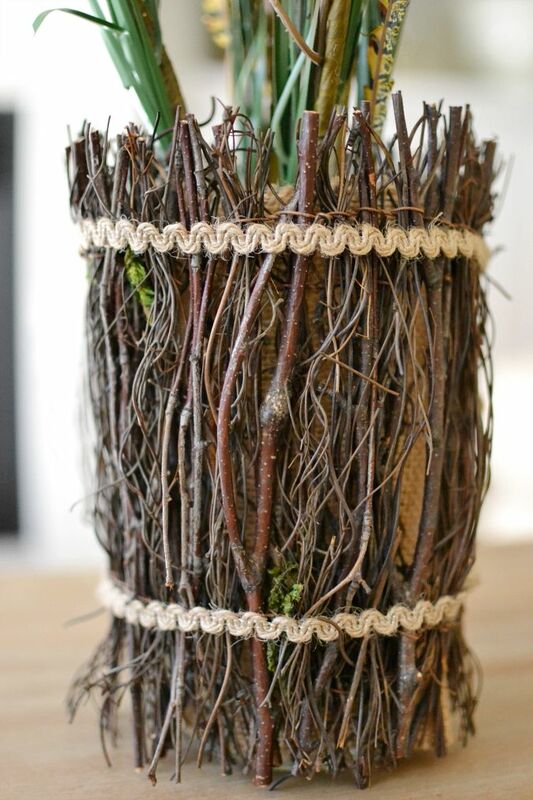 Surround with twigs and secure in place with hot glue. 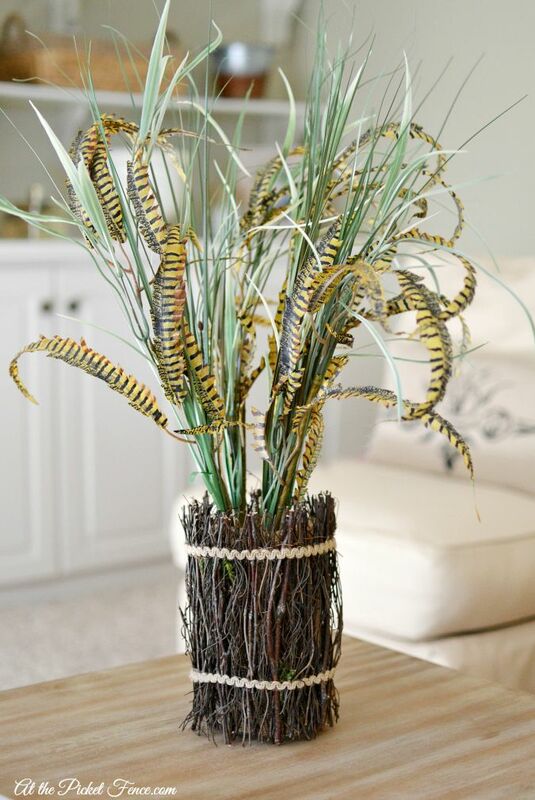 Wrap a piece of twine on the top and on the bottom. Put feathers inside container. I know it doesn’t look exactly like the original version. Feathers are expensive at the craft store and to keep this a thrifty craft I had to use fewer of them. But, just like my teenage pursuit of the perfect outfit at the mall, I find that I often prefer my own creation to the one that anyone could go buy. 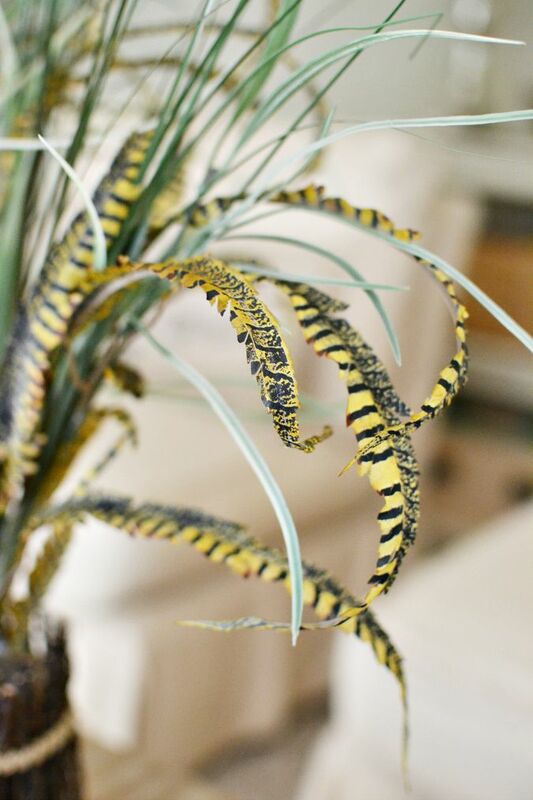 It’s one-of-a-kind, unique and even though as teenagers (and let’s be honest even as grown women!) we want to fit in, the reality is that it’s so much better to just do YOU. But while that season of my life as passed, the lessons I learned during those years shopping at the mall with my mom have stayed with me and now I can pass them on to my own daughter while she rolls her eyes at me. 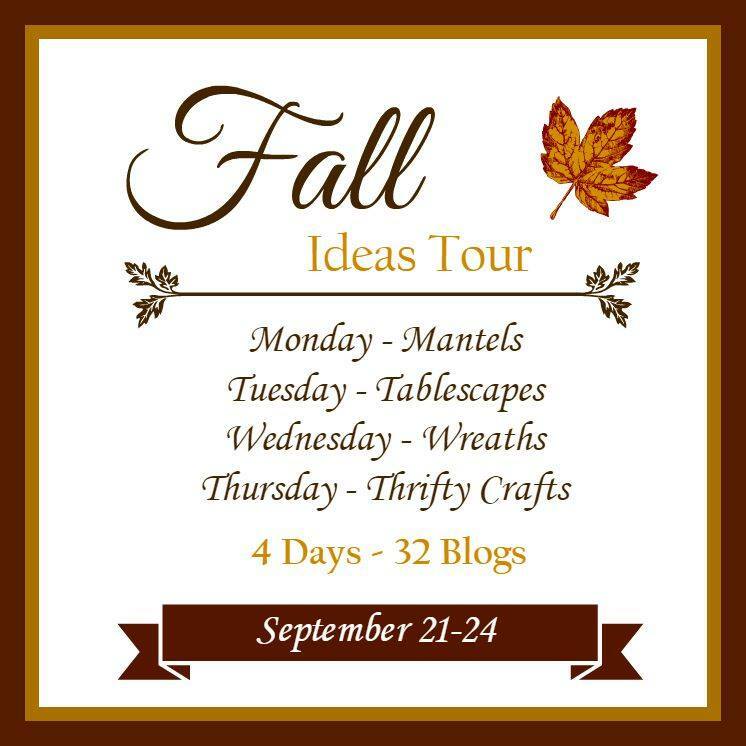 I’m so thrilled to be sharing my thrifty craft today with you as part of the Fall Ideas Tour! Every day this week there has been loads and loads of ideas and inspiration to help you get in the spirit of the season! 34 Comments on "Feather Pheasant Bundle Knock-Off"
Simple and pretty and great texture. I was shocked at the plastic pumpkins prices at PB! Not sure who pays that for them except someone who doesn’t know you can get them super cheap elsewhere. I know! I was shocked at some of the prices for plastic pumpkins this year too Kim! This is such a great piece. 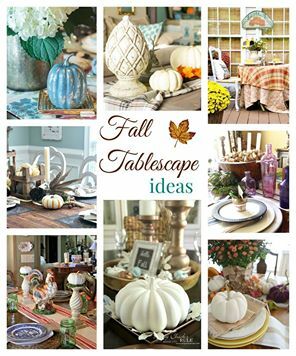 I am always looking to add height to a tablescape or decor and this is perfect for fall! Oh my gosh. I just love this…The yellow in those feathers just makes it PERFECTION! Your mom taught you well! Love this idea! Oh, I remember the days of browsing the wet seal! Your story is another good one. I actually like your version better than the Pottery Barn one! I’ve noticed a few of my students wearing acid washed jeans but I’ve yet to see stirrup pants. I think I’ll pass on those trends the second time around! 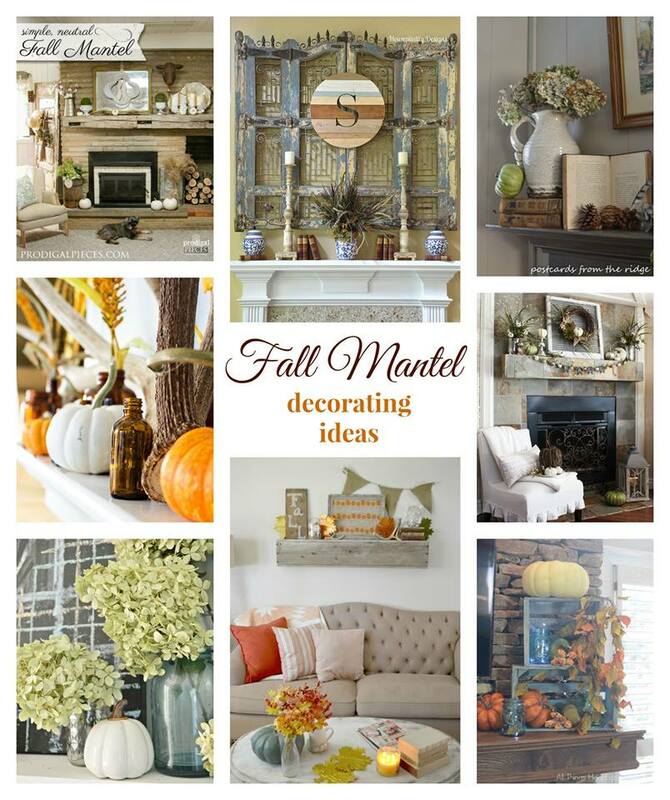 I just love how you can tell a story and you’ve just given me some inspiration for my mantel! A local person raises peacocks and I’m hoping I can get some FREE feathers! 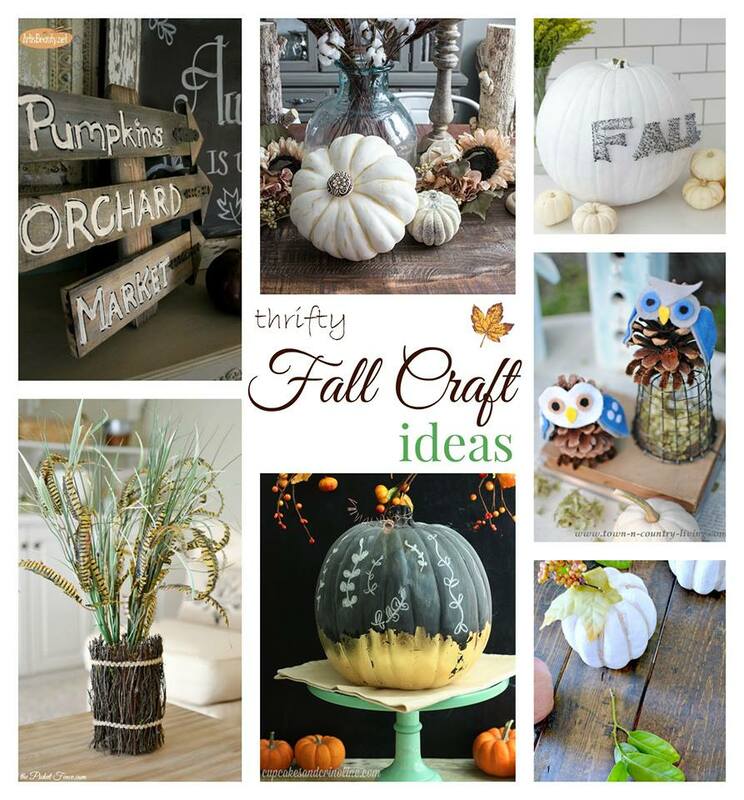 Pinning and sharing your fabulous creation! From a fellow Wet Seal gal… I love your knock-off! Beautifully done! So pretty! I actually like your version better. I was looking for feathers in the craft store the other day but didn’t buy any because I was shocked at the sticker price! I’ve resorted to picking up feathers off the ground! Simple, but so elegant! I remember one year my sister and I each snuck open a Christmas present when my Mom was out. Each of our boxes contained a pair of stirrup paints and a huge plaid shirt (were they even in then?). We tried them on and were parading around the house in our new outfits lol. Luckily we got everything wrapped back just so before our Mom came home, but I always think of that when I hear “stirrup pants” LOL! LOL Christy!! What a memory!! Oh my, that looks like something you’d spend BIG $$$ on. 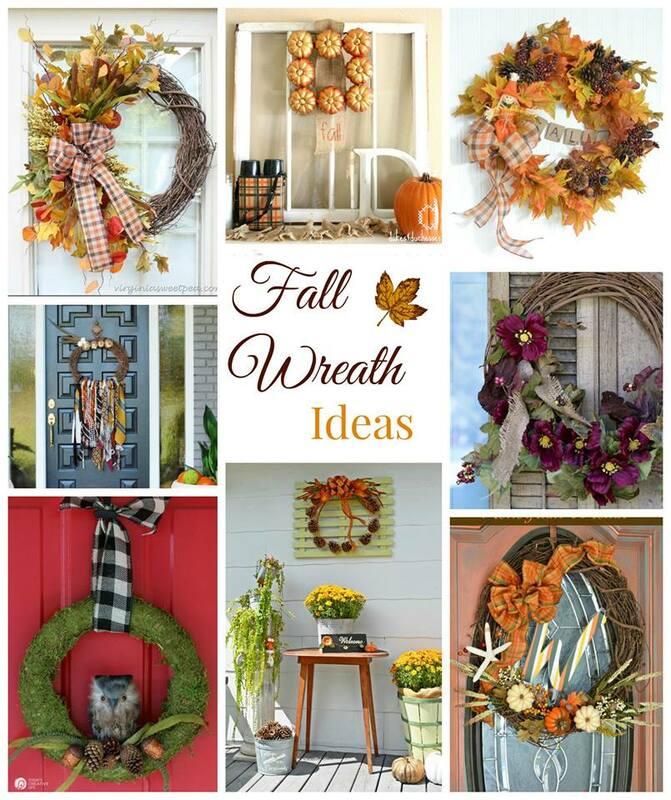 I love this idea – so gorgeous for Fall, or anytime for that matter. In fact, it may have inspired me for my daughter’s wedding next summer. She’s having an outdoor wedding and her theme is Peacock feathers! Pinning this to a few boards. Oh thank you so much Marie!! Your centerpiece is incredibly beautiful! We too appreciate making-it-for-less and you have proven that it can be just as stunning! Girl, I am blown away by your awesomeness! This is SO much better than the PB version. It looks great and it’s lovingly made by YOU! 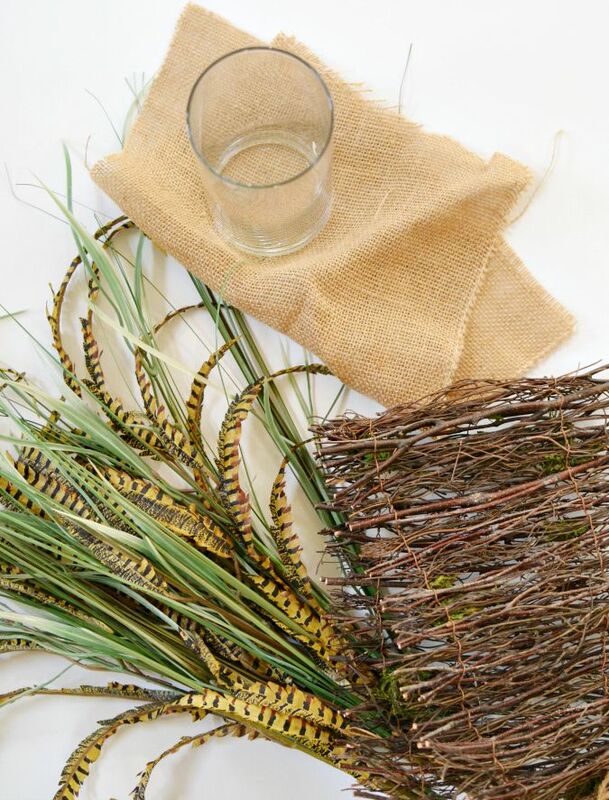 Honestly, the way I feel about handmade items is that they will become heirlooms. And how can it get better than that? Thanks for sharing! !